Born: born at Southampton 23 March 1859. Died at Anstie Grange 1939. Cuthbert married: Sarah Caroline Gore Gambier (1859-1944). 1. Leopold Cuthbert Heath (1894-1966) who married: 1st in 1915 Alesta Macauslane (?-1975) 2nd in 1933 Margit Sonderaal (?-1979). 2. Lady Genesta Mary Hamilton (nee Heath, 1899-1990). 3. The biography "Cuthbert Heath, Maker of the Modern Lloyd's of London" by Antony Brown, 1980. Cuthbert Eden Heath, was born on 23rd March, 1859. Educated at Temple Grove, East Sheen, to which he went at eight years old, from there he was sent to Brighton College, and stayed there until nearly 17 years of age. One of his godfathers was Admiral Sir William Eden, then a lord of the Admiralty. For a Christening present Sir William gave his godson a nomination for the Navy. Deafness early in life quite prevented the presentation from being used. There was some idea, however, of his going up for the Indian Civil Service, a project which was abandoned for the same reason. There till he could dream in French did not seem likely to be realised. He therefore left Versailles and went into another French family at Niort in the Deux Sevres, an old town still retaining many remains of the English occupation in the Plantagenet times, and still a Protestant centre. He remained there six months and came back with a thorough knowledge of French. From France he went to Germany and studied the language at Bonn, becoming there a member of the University. After nine months employed in learning German, boating on the Rhine, and studying Chemistry in a very mild way at the University, an opening was found for him in Messrs. Henry Head & Co.'s office, a firm of Lloyd's Underwriters and insurance brokers. After beginning at the very bottom of the office, and gaining a valuable knowledge of the elementary workings of such a business, his father made the necessary deposit to enable C.E.H. to become an underwriting member of Lloyd's. Since then his life has been the usual one of a man of business, varied and helped by the good fortune of having initiated several new features in insurance which have since developed not only in England, but in Foreign Insurance circles. He turned his business into a Limited Liability Co. in the year 1910. In 1912 he was elected at the head of the poll in a contested election for membership of the Committee of Lloyd's. He is Chairman of the Excess Insurance Co., a director of the Fine Art Insurance Co., the Buda Pesth Reinsurance co., John Broadwood & Sons, and of Weare Ltd. He married in 1891 Sarah Caroline Gore, youngest daughter of Charles Gore Gambier, of The Toft, Sharnbrook, Bedfordshire, and has two children, Leopold Cuthbert, born 1894, educated at Eton and at Trinity College, Cambridge, now a 2nd Lieutenant in the Surrey Yeomanry, and Genesta Mary, born 1899. On the death of his uncle, Douglas Denon Heath, he took Kitlands on lease from his father, who had succeeded to the estate. On the death of the latter, he moved to Anstie Grange, which he had bought some years before. His clubs are the Windham, City of London, Ranelagh, and Royal Automobile, and his town address is 47, Portman Square, W.
CUTHBERT EDEN HEATH, of Anstie Grange, the Holmwood, Surrey, and 47, Portman Square,W. 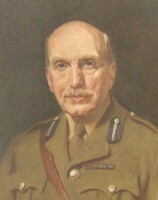 During the War, Cuthbert Eden Heath was commissioned, together with Right Hon. Frederick Huth Jackson, Sir R. Beck, Sir Gerald Ryan, and Mr. Roger Owen, to draw up a scheme by which the Government should insure the public against losses caused by hostile aircraft. It was duly adopted, and he was one of those selected for carrying it out. He served on the latter Committee till it was dissolved at the end of the War. In 1915 he was appointed a Trustee of that splendid institution, Lloyd's Patriotic Fund, which dates back from the time of the Napoleonic wars, and has been of immense assistance to soldiers and sailors in distress and to the widows and children of those who have lost their lives on service. In 1919 C.E.H. joined the Committee of the Labour Department, which allots funds to enable soldiers and sailors, both officers and men, to be trained for civil employment. A Royal Commission, under the chairmanship of Lord Faringdon, having resulted in the formation, under Government auspices, of the British Trade Corporation for the encouragement of foreign trade, with a capital of 10,000,000, C.E.H. was asked to transfer to a subsidiary company of the Corporation - the Trades Indemnity Co - a branch of his business which had for twenty years carried on successfully the business of insuring credits. The transfer having been made, he was asked to become a Director, but it was not till December, 1919, that he undertook this duty, and was elected Chairman of the Company. In September, 1916, Anstie Grange was given over to the War Office for use as an Officer's Hospital. It was fitted out with all the most modern appliances, and though a Red Cross Hospital, was, in consideration of its being equipped and carried on without any expense to that or any other fund, put immediately under the control of the Military Authorities at Aldershot. The grant, received monthly from the Government, which varied with the number of patients treated, was made over to Georgina Countess of Dudley, who admirably administered the "Heath Fund" for helping officers discharged from hospital. Miss Gore-Brown, a cousin of Mrs. C.E.Heath's, was appointed Commandant of the Anstie Grange Officer's Hospital, and it became a "First Line Hospital," receiving almost all its patients straight from the Front by special trains from Dover and Southampton to Holmwood Station. Nearly 700 patients passed through the hospital. Out of these only two died, a fact which, considering the desperate nature of some of the injuries treated, speaks volumes for the care and skill of the resident surgeons and staff. The latter numbered almost 50, all of whom were housed either at Anstie or in cottages on the property. The largest number of patients at one time was 56. The hospital was finally closed in December, 1918. In 1918, C.E.H. became joint master (with his old friend, Mr Len Steere, of Jayes Park), of the Surrey Union Foxhounds, a pack which has existed for well over 100 years, and has jurisdiction over a country which stretches form Kew Gardens to south of the Sussex border. He now owns three pictures of some family interest. That of Helen Napier, sister of the first Lord Napier of Ettrick, painted by some unknown but good artist about 1650. A picture by Sir Joshua Reynolds and mentioned in his life, of Ann Sneyd, a great aunt by marriage of our great aunt Mrs.Sneyd. Also a portrait of James Heath, R.A., by Kearsley - a good picture. Kearsley seems to have been a pupil of Sir Joshua, and the picture was at one time attributed to the latter. This picture has been engraved. Mrs. C.E.Heath busied herself during the war in various directions; helping prisoners of war, sending parcels to our fighting soldiers, and keeping up a correspondence, not only with the latter, but also with many French "poilus." 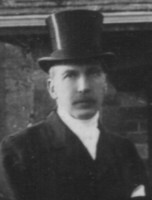 HEATH,Cuthbert Eden, Esq., Donor and Organiser, Anstie Grange Primary Hospital for Officers, Holmwood, Dorking. "Anstie Grange, Holmwood, the property of Mr. Cuthbert Heath, has been opened as a hospital for officers. Situated in a delightful district, and commanding some of the most beautiful views to be seen in any part of the South of England, it offers all the advantages required in such an institution. "Mr.Cuthbert Heath, with a fine generosity and real practical patriotism, has not only vacated and given over the free use of the mansion to the War Office, but has completely equipped it at his own expense. Nearly fifty officers can be accommodated, and each patient can, if necessary, be wheeled to a verandah to enjoy the pure air and beautiful natural surroundings, while those whose health permits are at liberty to roam at will through the pretty grounds, which are a feature of the house. The hospital has been inspected by General Bourke, R.A.M.C., of Aldershot, accompanied by Sir Arbuthnot Lane, , and they have expressed themselves entirely satisfied with everything they saw. A party of some 31officers were admitted direct from the fighting line on the Western Front on Wednesday evening. "Dr.McComas, of Dorking, is in charge of the medical department, and he is assisted by his partner, Dr. Alderson, and a staff of fully trained nurses. Ladies belonging to the V.A.D. are also rendering valuable service in the domestic work of the institution. The hospital contains about 40 patients at present, and the Hon.Sec. is Miss Gore-Browne." Reprinted from LLOYD'S LIST. July 30th, 1918. Generous Gift to Lloyd's by Mr. Cuthbert E. Heath. Mr Cuthbert Eden Heath, an Underwriting Member of Lloyd's, and a former Member of the Committee of Lloyd's, has very kindly presented to Lloyd's a large Silver Vase, which was awarded a century ago by Lloyd's Patriotic Fund to Captain Edward Rotheram, of H.M.S. Royal Sovereign. From the Patriotic Fund at Lloyd's to Edward Rotheram, Esq., Captain of H.M.S. Royal Sovereign, for his Meritorious Services in contributing to the Signal Victory obtained over the combined Fleets of France and Spain, off Cape Trafalgar, on 21st, October, 1805. The Committee of Lloyd's, in accepting the Silver Vase, directed that their grateful acknowledgements be conveyed to Mr. Heath for his very handsome and generous gift. It will be remembered that it was with the assistance of Mr. Heath and other Members of Lloyd's that the valuable Nelson Presentation Plate was re-purchased for Lloyd's in November, 1910. In connection with Mr. Heath's gift of this Trafalgar Vase, it may be mentioned that it is one of a series of 66 presented by Lloyd's Patriotic Fund. Of these the present whereabouts of only four is known, namely, the Rotheram vase, valued at £100, and three £650 Vases, which were presented respectively to Viscountess Nelson, to Lord Nelson's Brother, and to Vice-Admiral Lord Collingwood. The Lady Nelson and Lord Collingwood Vases are in the possession of his Majesty the King, and are kept on board the Royal Yacht. The Vase which was presented to Lord Nelson's Brother is an heirloom in the Nelson family, and a photograph of it may be seen at the Office of Lloyd's Patriotic Fund, Brook House, Walbrook, E.C.4. at the time when the Fund ceased to present these Vases there were seven remaining in the hands of the manufacturers. One of these is probably the specimen in the Victoria and Albert Museum; and Messrs. Spink & sons, Ltd., of 17 and 18, Piccadilly, W.1, have a Vase which is believed to be one of the seven. From the Patriotic Fund at Lloyd's. To Major John Hamill, of the Royal Regiment of Malta. In testimony of his gallant conduct at the battle of Maida, to Calabria, on the 4th July, 1806, in which the pride of the presumptuous enemy was severely humbled, and the superiority of the British troops most gloriously proved.